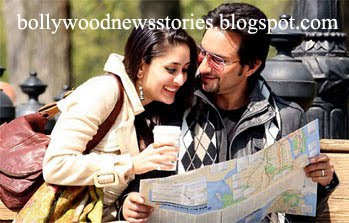 Saif Ali Khan and Kareena Kapoor To Marry on October 16 2012: In the first official confirmation from the family, Saif Ali Khan's mother, Sharmila Tagore has confirmed her son's marriage to actor Kareena Kapoor on October 16. "Yes, that's the date we have decided upon. There will be a reception, too, but not a very big one." The wedding ceremony, said close sources, will be a quiet affair, too. Sources close to Tagore said that Kapoor, like her would be mother-in-law, will continue acting in films. "Sharmila's best innings as an actress started after marriage. Saif was a baby on the sets of one of her best films, Aradhana. Kareena will follow in her footsteps. After marriage, she will do two films a year. Right after she completes Madhur Bhandarkar's Heroine, she'll begin shooting for Sanjay Leela Bhansali's Ram Leela," said the source. In fact, Kapoor has assured a very worried Bhansali that she will not take a break for her wedding. The wedding, which will be held at the Pataudis' ancestral home, will only be attended by immediate family members of the couple.